Vodafone Group announced Brian Humphries, CEO of its Business division, will step down in March, with its Rest of the World chief Vivek Badrinath taking interim charge. 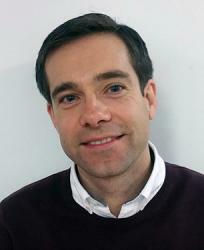 Humphries joined the operator in 2016 and spent two years heading-up the division, including overseeing a rebrand from Vodafone Enterprise to Vodafone Business, which was completed in December 2018. In a short statement, the operator said Badrinath would temporarily lead the unit in addition to his existing role. A full-time CEO for the division will be announced in due course, it added. Vodafone Business accounted for 30 per cent of group service revenue in its fiscal Q3 (the three months to the end of December). Last month, the unit announced a new venture with IBM focused on providing digital transformation services for customers using artificial intelligence, 5G, Edge and Software Defined Networking technologies. Humphries leaves Vodafone Group to take over as CEO of US IT consultancy company Cognizant, a role he will begin on 1 April. Previous ArticleIntelligence Brief: Can you compete with cloud vendors in IoT?